If you have any questions about the PERSEUS³ information page below please contact us. The amazing Perini Navi sailing yacht PERSEUS³ (P3, hull C.2218) is a beautiful 60m sloop, launched by the Italian shipyard in 2014. Hull C.2218 superyacht PERSEUS³ is designed by the Perini Navi´s in-house team in partnership with the world-renowned Ron Holland. She is able to accommodate 12 guests overnight. The interior layout is designed to ensure guests privacy. Stylishly designed indoor areas create inviting and relaxing atmosphere. The outdoor spaces can be used in any sea conditions. There is plenty of space for entertainment and relaxation, including alfresco dining area, Jacuzzi on the main deck, and sunbathing area. 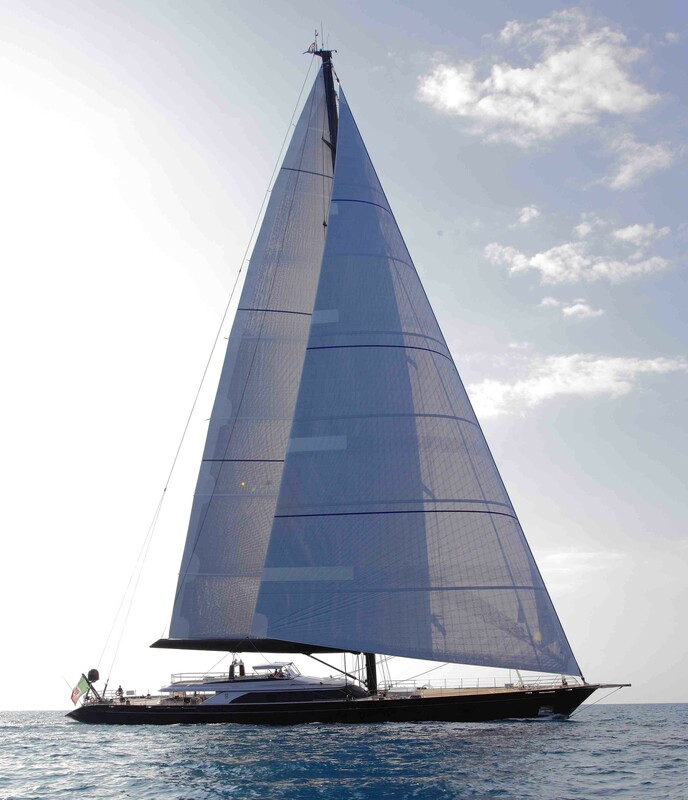 PERSEUS³ is a stunning sloop with technical innovations in her rigging. 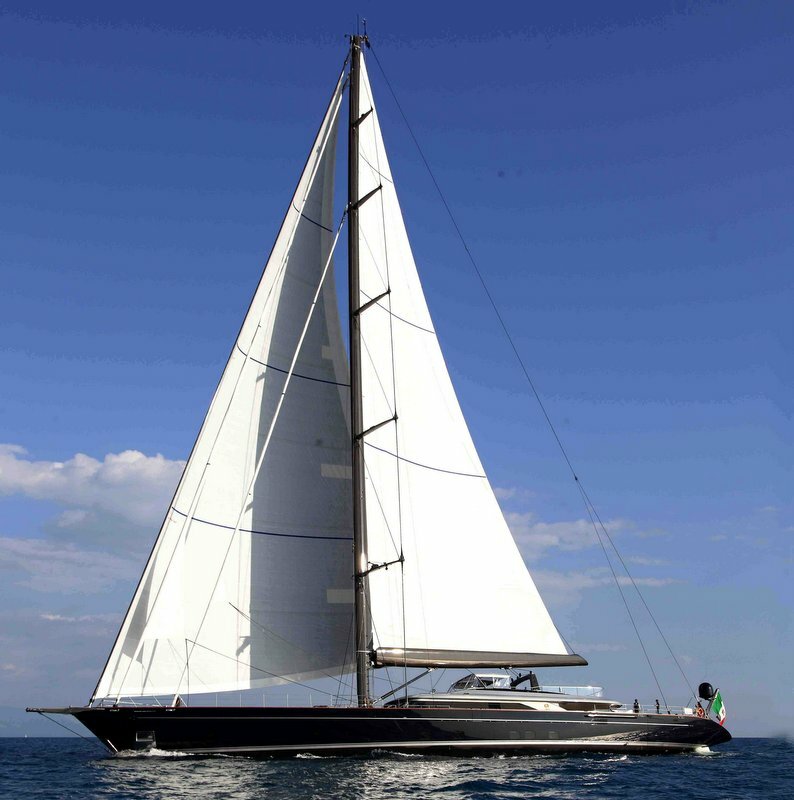 She was built for an experienced yacht owner who previously participated in superyacht regattas. The cutting-edge technology allows the yacht to manoeuvre better. Built in aluminium, the 197´ superyacht PERSEUS³ reaches a maximum speed of 15.5 knots. 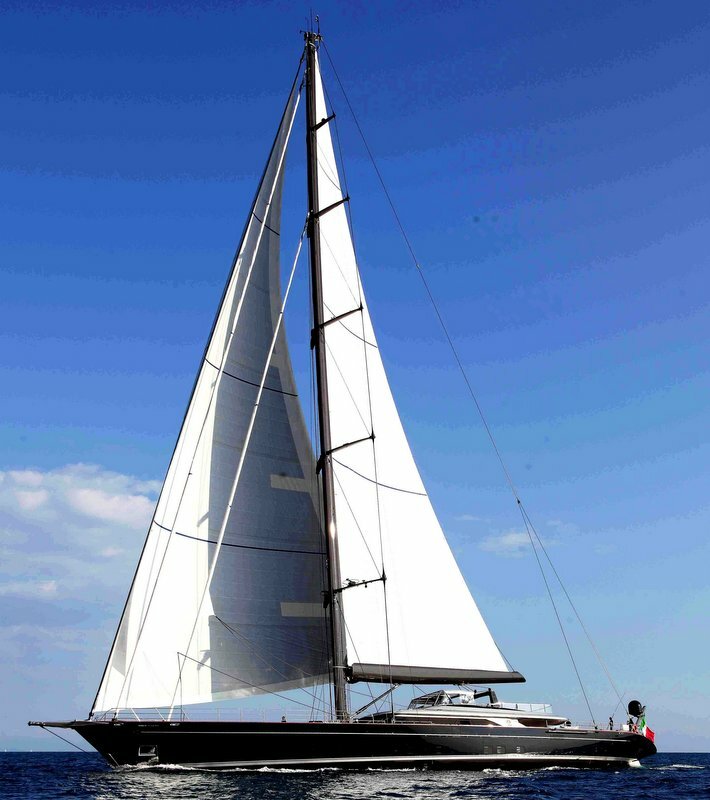 She features a large number of innovations, such as a new lifting keel from 4.30m to 12.30m, new faster and lighter captive winches, new furling systems for foresails as well as a new bathing platform. Her maximum beam is of 11.40m (37'4") and her draft of 4.30m (14'1") with keel up and of 12.30m (39'4") with the keel down. PERSEUS³ is ABS classed and MCA compliant. Perini Navi luxury yacht PERSEUS³ can comfortably sleep up to 12 guests in five stunning staterooms, one of which has sliding beds. The owner’s suite is full beam and can be divided by a removable wall. In addition, two 6,20 custom tenders, two opening beach platforms and an infinity pool on the foredeck compliment the exterior layout. We do have available further amenity, owner and price information for the 60.00m (196' 10") yacht PERSEUS³, so please enquire for more information. The luxury yacht PERSEUS³ displayed on this page is merely informational and she is not necessarily available for yacht charter or for sale, nor is she represented or marketed in anyway by CharterWorld. This web page and the superyacht information contained herein is not contractual. All yacht specifications and informations are displayed in good faith but CharterWorld does not warrant or assume any legal liability or responsibility for the current accuracy, completeness, validity, or usefulness of any superyacht information and/or images displayed. All boat information is subject to change without prior notice and may not be current.